Takes 35 Minutes , serves 4. 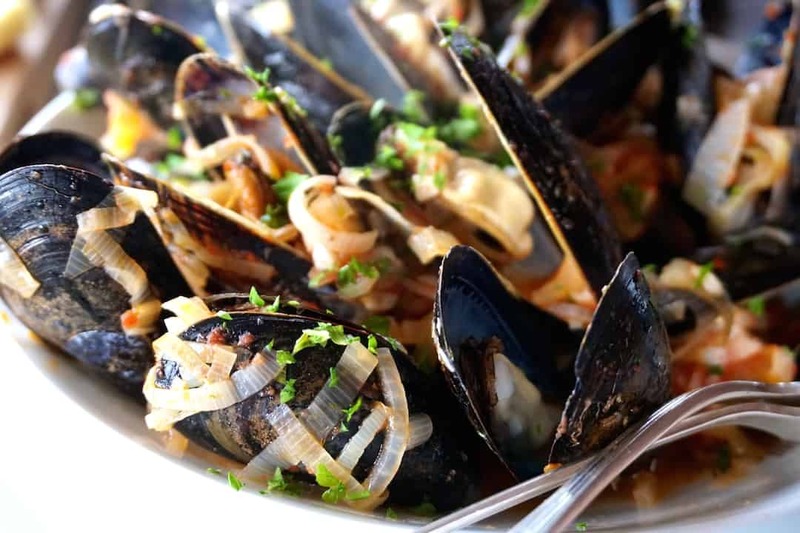 Clean the mussels: Place the mussels into a large stainless steel bowl and fill with water. Let the mussels sit undisturbed for 15 minutes. Rub each mussel between your hands to remove any dirt or silt. Pluck the hairy beard from the shell if the mussel has one. Discard any mussels with cracked shells. Place a Dutch oven or large soup pot on medium-high heat. At temperature, add oil and butter, combining the two until the butter melts and bubbles. Add the shallots, leek and garlic and stir until coated with the butter/oil mix. Sprinkle with chili flakes, cover and cook for three minutes. Stir the vegetables and add one or two more tablespoons of oil if needed. Reduce heat to simmer, cover and cook for 10 minutes or until ingredients are soft, translucent and fragrant. Add the tomato purée and the white wine. Stir, taste and season with salt. Return lid to pot until ingredients come to a boil, about 3-5 minutes. Add the mussels, stirring them into the hot broth mixture. Cover and cook for 5 minutes. Remove the lid and stir the mussels from the bottom to the top so that any unopened mussels fall down into the liquid. Add the lemon juice. Cover and cook for an additional 5 minutes or until the mussels have fully opened. 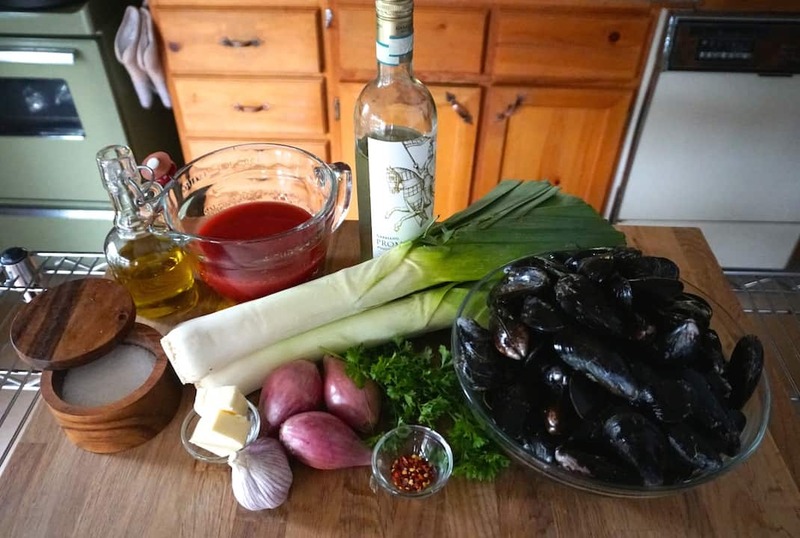 Transfer cooked mussels into soup plates (see note below), sprinkle with parsley and serve. 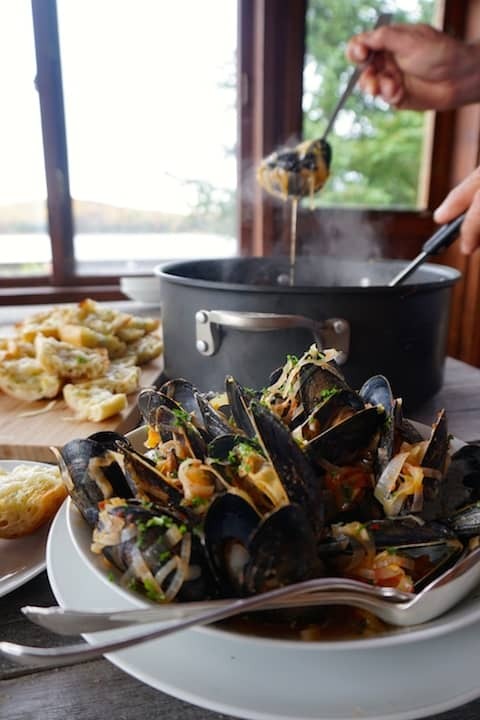 Note: We suggest having three utensils on hand to serve steamed mussels: a slotted spoon to extract only the mussels from the pot, tongs to arrange the mussels in the bowl and a ladle to pour the broth and vegetables over the mussels before you serve. A STEAMED MUSSELS RECIPE that delivers on the promise of bold and beautiful presentation and flavours. 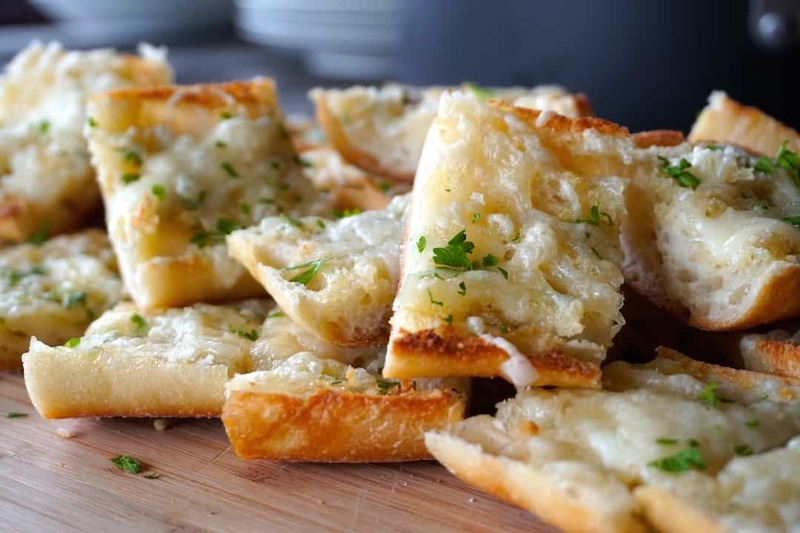 Truth – I shot the video and photos for this story, then proceeded to devour the bowl of steamed mussels with a hunk of cheesy bread in record time. After cleaning everything up and sitting down to write this post I reflect on everything I want to say and my mouth is watering all over again. This is seriously the best mussels recipe I’ve ever made. 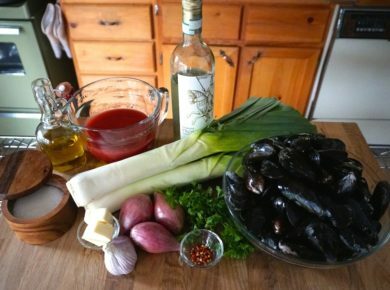 Before I share everything that goes into making steamed mussels with white wine and tomatoes, how about a reminder to PIN this story to one of your PINTEREST boards for easy access and reference. 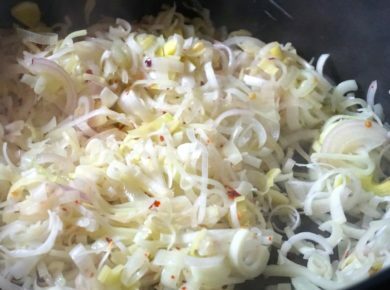 I’d also bookmark the page and SHARE this recipe with your friends – they’ll certainly love you more for your kindness. 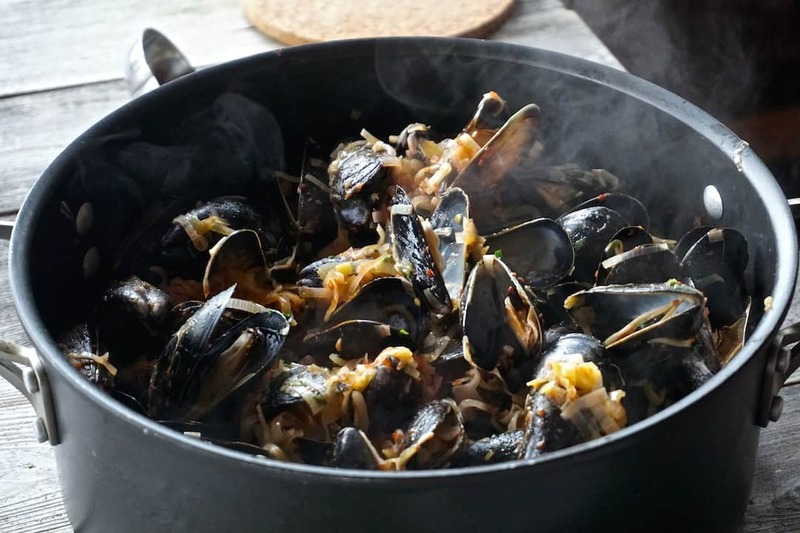 Here we go then – the WATC guide on how to prepare mussels! The ingredients for this fabulous recipe are all readily available at your local supermarket or grocery store. Nothing is hard to find, but as always, we’ve come to appreciate the true flavour of organic vegetables and ingredients. If you have access to them, please try to use them. And don’t forget to buy local! We relied on two ingredient combinations for the big, bold flavours that make this mussels recipe so crazy good. 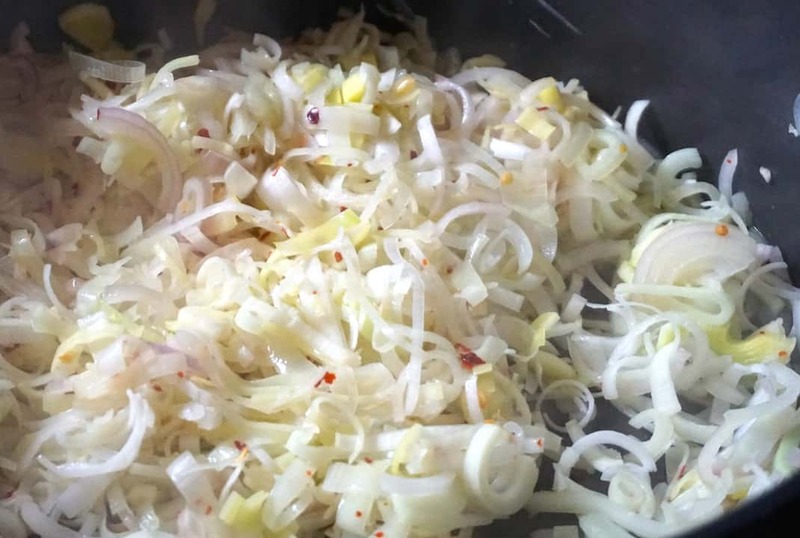 The first is leeks, shallots, and garlic, getting all soft, sweet and fragrant as they cook down in the butter and oil. The second winning combo is white wine and tomato purée; the tomatoes add a little sweetness into the mix, while the wine cuts down their acidity. Did you know that we have been consuming these bivalve mollusks for thousands of years? Well, when it comes to shopping for them, fresh is best, and I suggest purchasing them from your favourite fish and seafood monger. Look for ones holding a tight seal when you press the outer shells together. 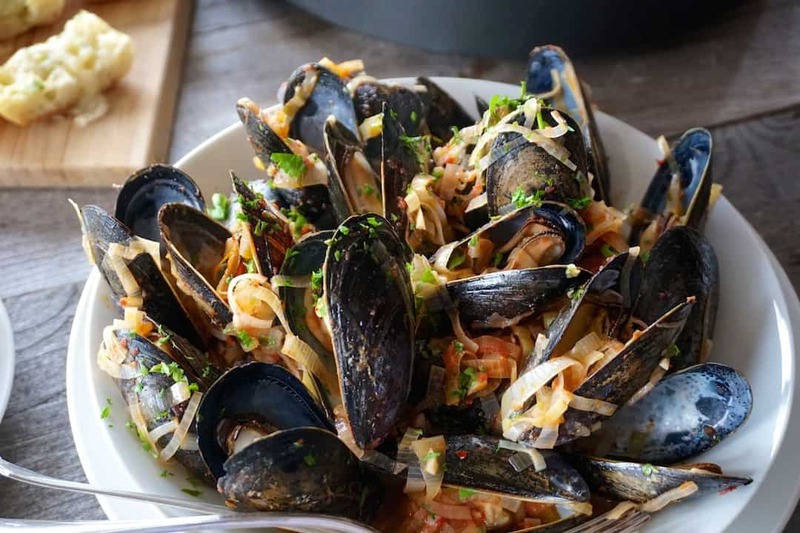 If you want to learn more about mussels, read the WIKI article HERE. Please don’t miss the chance to try this – it’s perfect for dipping into the broth. 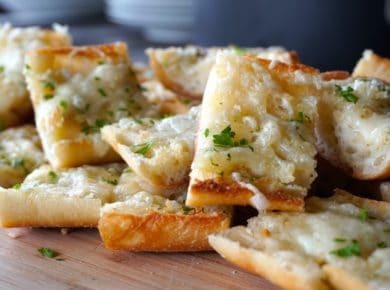 Check out our one-minute City Slicker VIDEO on how to make this easy, crispy, gooey, garlicky bread. 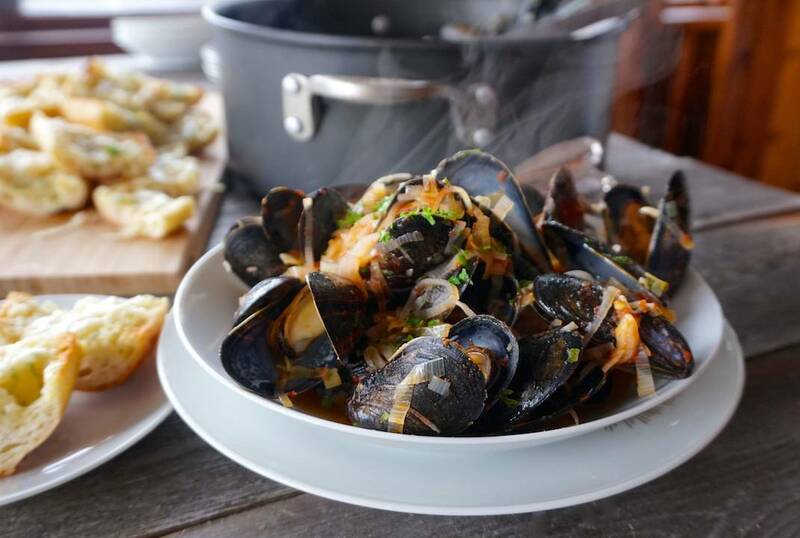 Last thing is about how to serve this STEAMED MUSSELS RECIPE. I was taught years ago not to serve any mussels that didn’t open after being cooked. In my experience, the likelihood of unopened shells is greatly reduced when you use really fresh mussels. Many of you are probably thinking of this recipe as the main for an upcoming dinner or get together; we suggest offering it with a SIMPLE SALAD and following it with an incredible dessert like our LEMON MERINGUE PIE or HARVEY WALLBANGER CAKE. 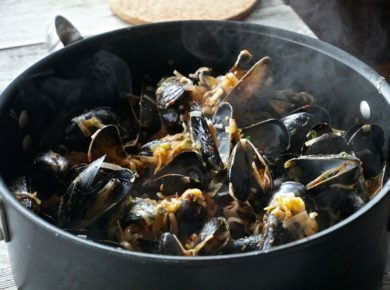 Your quest for an awesome STEAMED MUSSELS RECIPE ends here. Bon appétit! The following items helped us create this post and video. Just click on the below links to purchase them through Amazon.com and add them to your collection. Happy shopping! Nik is the creator, host and brains behind Weekend at the Cottage. He loves sharing his wisdom and experience about the things that interest him most.